"Just flipping through the channels. Oh wait there is daddy! Good job!" 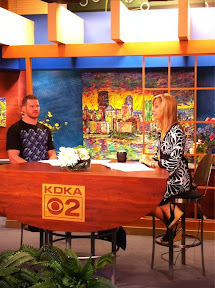 On "Pittsburgh Live Today" this morning for my fight Sunday and to promote Warrior from LionsGate.